Yo yos have so many craft uses. 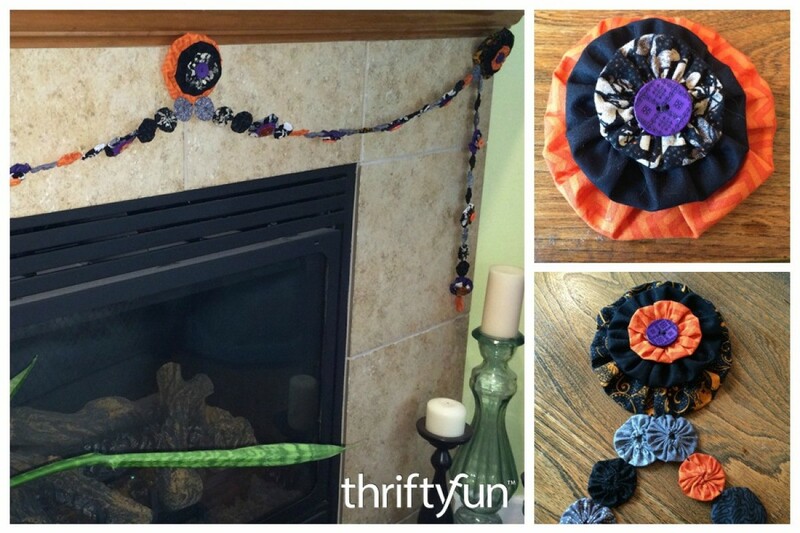 Use fall and Halloween fabric to make a decorative yo yo garland. 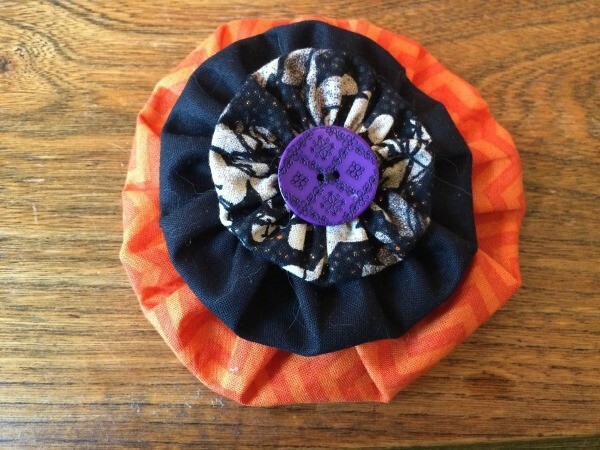 This is a guide about making a Halloween yo yo garland. It can be hard to find Halloween decorations that aren't cheap and disposable. Since I love Halloween, I decided that I needed some decorations that I could use year after year. 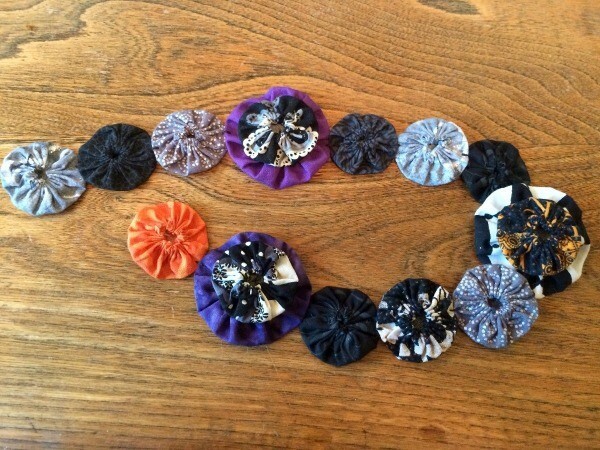 This yo yo garland is easily customizable and so cute! 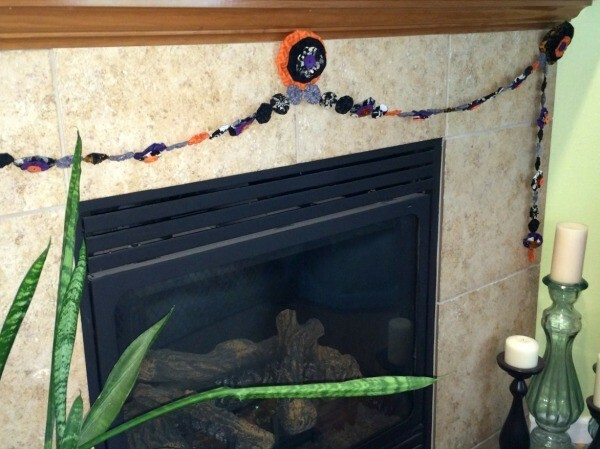 The garland I made was to hang on our fireplace mantle which was 51 inches wide. I made 64 small yo yos, 17 medium yo yos, 3 large yo yos, and 3 x-large yo yos. 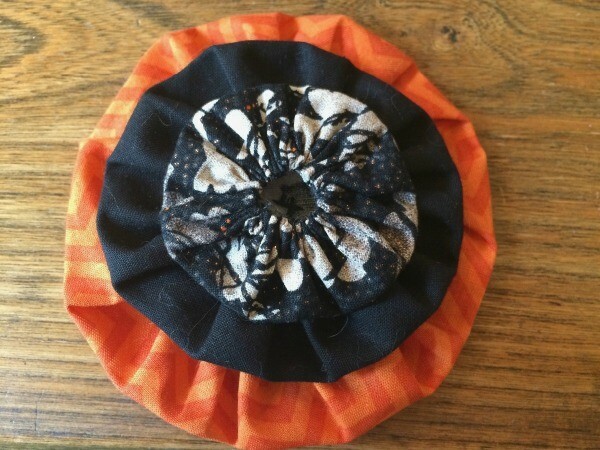 Here are the instructions for making yo yos: Making Fabric Yo Yos. 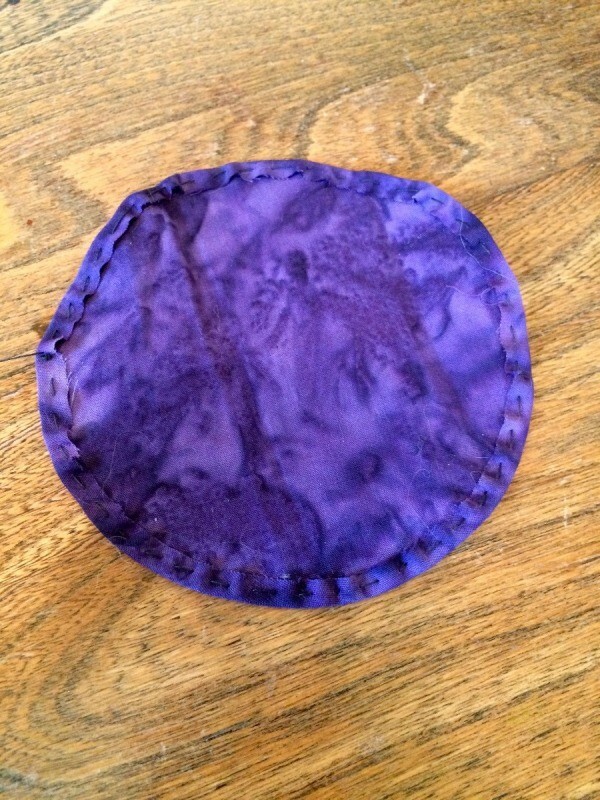 As I made the yo yos, I strung them together on a piece of thread to keep them in the right order. To create triple yo yos for the hangers, stack 1 xl, 1 lg, and 1 med yo yo on top of each other. 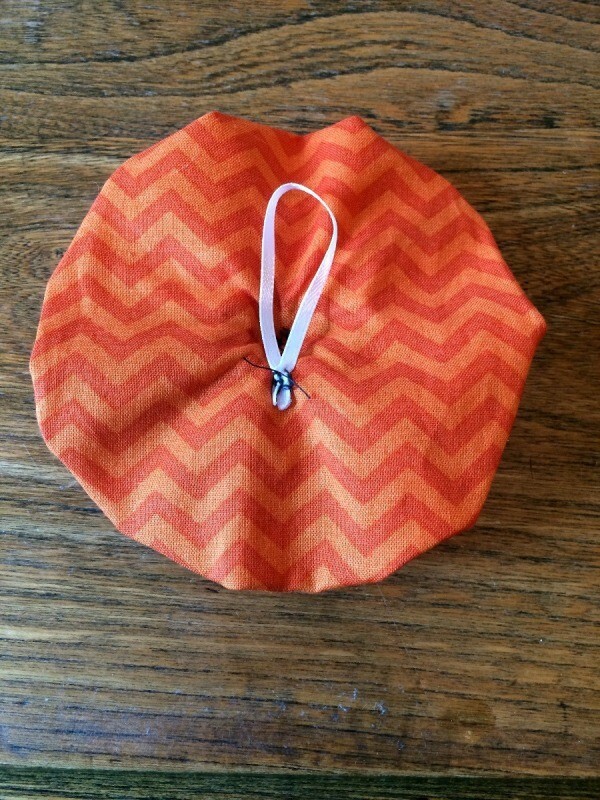 Line up the centers and use a needle and thread to stitch through the middle to secure them together. For the garland, I stitched 3 sm yo yos together at the edges, followed by a double stacked yo yo. 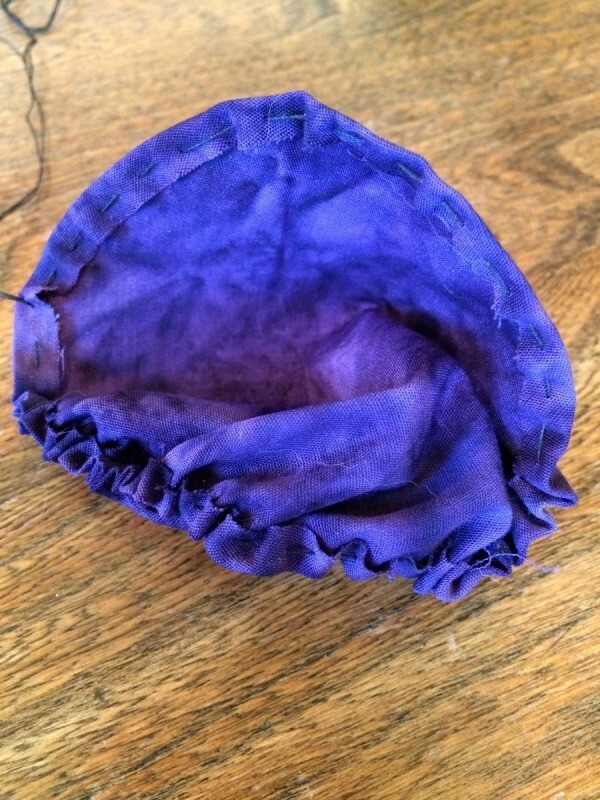 To create the double yo yos, sew 1 med and 1 sm yo yo together at the center. 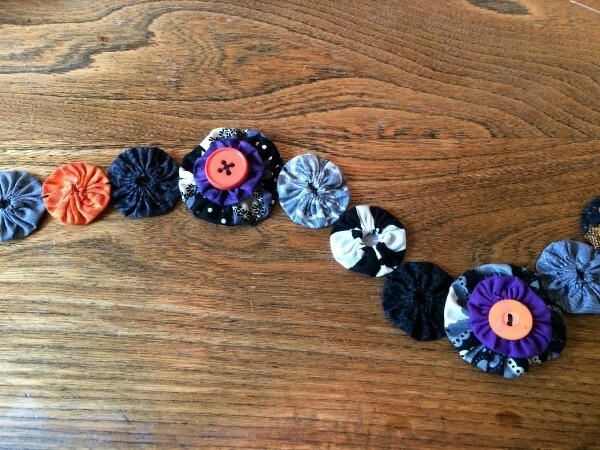 Stitch buttons to the centers of the double and triple yo yos. 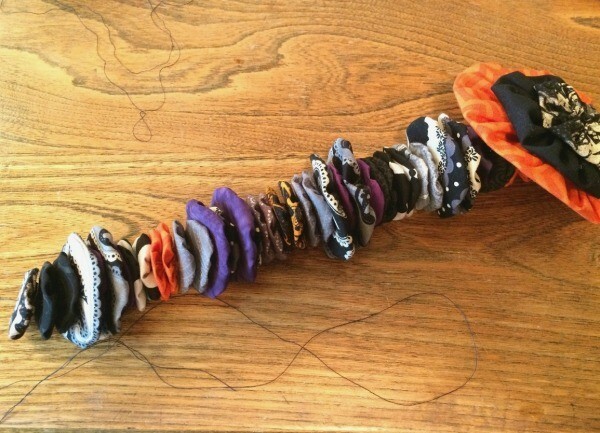 Cut a length of ribbon to make a hanger for each of the triple yo yos. 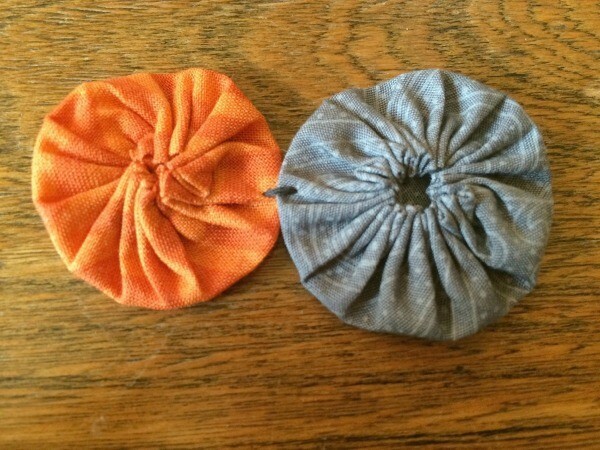 Create a loop with the ribbon and sew the hangers to the backs of the yo yos. 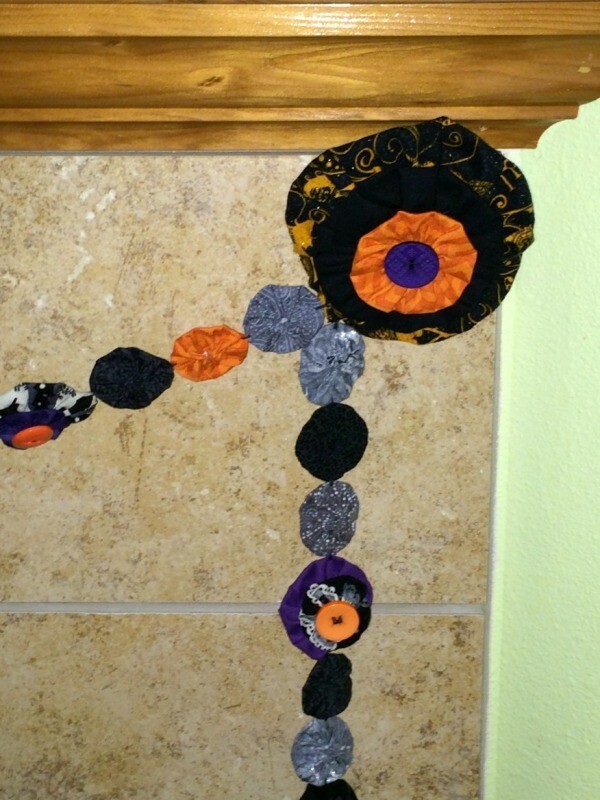 Stitch the garland lengths to the triple yo yos. I chose to attach the garland at the bottoms of the triple yo yos, versus attaching everything in a straight line, which might have caused it to distort the yo yos. 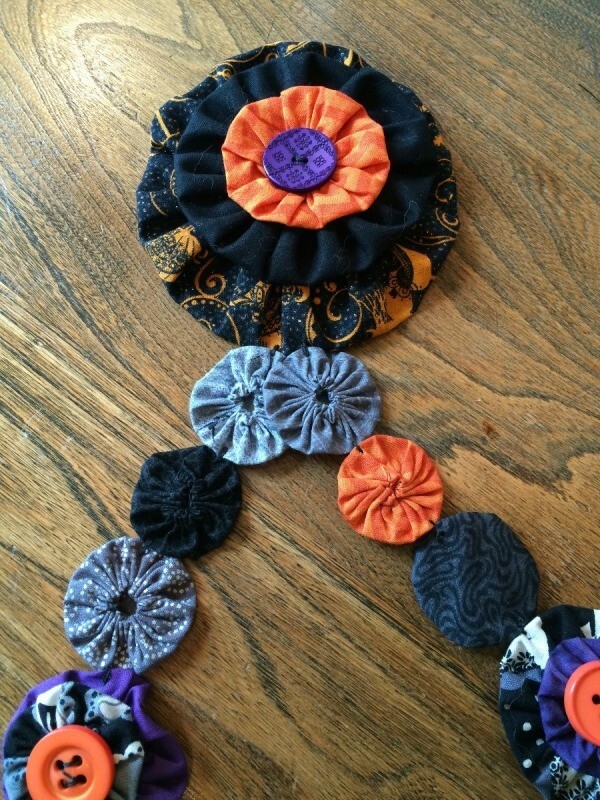 Hang up your garland and have a happy Halloween! NOTE: You may find that the weight of the buttons causes the yo yos to tilt down. If you don't like that, you can put little pieces of tape on the backs of the yo yos to hold them flat against the surface. 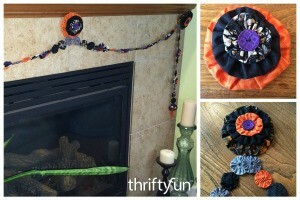 This is a beautiful Halloween decoration that you can reuse year after year. 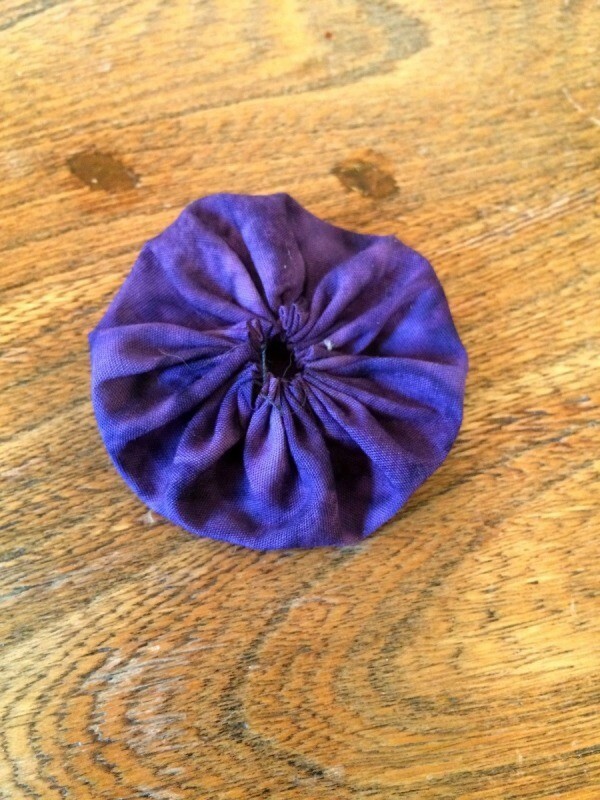 It is made out of fabric yo yos and buttons.